I had another episode last night. Now that I am 36 they happen less often. My mind wakes up but my body cannot move. The air in the room feels different, some how more evil. I know that it's going to be one of those nights. I cannot move my body. When I was little it felt like someone was holding me down. The only thing I can think of is to pray. I pray really hard that God will take away the evil in the room, take away the presence that is holding me down. Praying always helps me to wake up. I tried to explain the experience today to a friend and found myself feeling crazy. How do you explain to someone that there is evil in the room or that you feel an evil presence holding you down without sounding crazy. I know when I am going to have one of those nights. Even after I am awake I can still sense a change in the air in the room. I'm not saying that there isn't a scientific explanation for everything but I am saying that this is how I feel when it happens. When it's happening I am frightened and feel helpless I cannot move. Kevin: Thanks for sharing this Erin. Prayer has definitely been noted to be an affective way of dealing with sleep paralysis and the feelings of evil forces that sometimes accompanies it. As you might imagine there are various opinions for why this is. Some attribute it to supernatural intervention of course. Others may suggest that the positive thinking the prayers tend to foster help change the negative projections of the mind (to which the evil feelings are attributed to) to more positive projections. And that this positivity in itself, as well as simply more time elapsing, helps end the REM atonia that causes the paralysis. 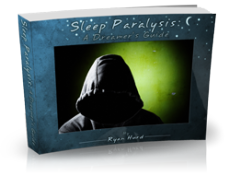 If you'd like to learn more about these feelings of an evil presence from someone who has experienced them often and researched them thoroughly I highly recommend reading this book by the sleep paralysis specialist Ryan Hurd. For everyone else, for more information on sleep paralysis episodes like the ones Erin describes, you can also read our informational page here. Hey Mike, feel free my friend. Thanks for asking. I don't understand....why is it that every experience of SP I've read about includes people describing a feeling of an evil or malevolent presence?? I had a similar feeling. If it's just related to your sleep stage why is the feeling always negative?? I also had en "episode" last night, but have had them off and on throught the years. Good question, why does this have to be scientifically explained and why does everyone feel terror?! I woke up all of a sudden, ears ringing and vibrating, lack of breath and speech, eyes concentrated stright ahead and genuine terror feeling...not startled. Whos's to say there isn't entities outside of our 'senses' spectrum? Peace. Now, 20 some years later, just the other night, this creepy feeling guy, out of the blue, grabbed my left hand and squeezed it so hard that tears came to my eyes, I poured my drink on him as if to say WTH???? But the SAME fear ran thru me....my partner said he re-appeard right behind me and touched my neck and said "Are you scared???" Honestly, it looked like the same exact 'person' that I saw 20 some years ago, and the fear was the same, and uncontrolable fear, one that can't be supressed....I just prayed. Hi i stumbled on this site today after getting frustrated and was looking to see if there were other seemingly crazy people like me. Well, i have had several episodes starting may 2010. The first time i could feel this evil presence lifting me out of my body and swinging me round my bed among other nightmares while asleep. It was very scary and i was really afraid of going to sleep lest i experience the same scary feeling. Needless to say, i started sleeping with my Bible and made sure to pray often. The s/p as its referred to still persists and the most scary bit is when am feeling held down and helpless. I try to shout at my husband or pinch him hard but it amounts to nothing. I have resorted to calling out 'Jesus Christ' a few times and then it leaves. I am comforted that i am not going insane. Thanks a lot to this site. God bless you. We will survive by faith. Amen. Maybe the evil presence is you. Maybe God is telling you something. Like you can't pray your way to heaven, and only when you start acting like a decent human being, rather than going to church every sunday and paying the rent on your preachers soul insurance, then you will start to feel better. The name of jesus is feared by all evil spirits. Get your house blessed. Use holy water everyday. say the st. michaels prayer. Go through your home and get rid of items that are not right. Through prayer you will find what they are. Repent if you have ever used astrology etc. You could have opened a door you must close it. Go to confession. I hope this helps. One done they will leave you alone. SAY JESUS JESUS ALOUD & THEY WILL FLEE! Something like this happened before when I was younger.. i'm thinking 10 or 11. I was sleeping in my room and then i saw a blue light enter the window.. it started pressing down on my stomach and whispering things to me. It sounded like a bunch of jibberish.. While this all was happening, i was screaming and screaming but I wouldn't hear myself scream. I tried to get up but i couldn't because whatever it was, was holding me down on the bed. Then finally it stopped and it left and I heard a continuation of my screams and I got up and ran to my mothers room. It was one if the scariest things that ever happened to me besides the day I almost drowned when I was a kid. But anyways, at the time when it happened, I was so convinced it was real.. but now that I really think about it, I could have been sleeping still. I hope I was sleeping still. what do you mean by saying that there is a change in the air? I have never experianced something like this but I'm very interested. when was it the first time that you experianced it and what do you feel like this evil present in the room is? I mean, how do you realy imagine it? as an animal? a beast? or a person? I've had a handful of attacks over the years. Some continuing on after waking, sensing the presence of what was in my dream in the room with me, to the point where I know exactly where in the room it is, and that there is noticeable temperature change in the room. So no, I don't buy the idea that it is only a biological thing combined with hallucinations. I've even had one occurrence that included my wife. I awoke from the attack only to find my wife experiencing the same thing simultaneously, except she was wide awake the whole time and was seeing it with her own eyes. If I merely hallucinating, then please explain how more than one person can experience the same thing at the same time, and at different stages of consciousness? Sorry, science can't explain away this one. I am very spiritually sensitive. Can feel the presence of evil easily when it's there. I know scientific minds always want to have a medical/natural explanation for this and call it SP, but seriously, these evil spirits flee at the name of Jesus. Some may be more stubborn or more unwilling to go than others. In my case, sometimes they try to paralyze me and are successful UNTIL I can manage to speak or mumble "Jesus". They immediately leave (for me) when I speak his name. My husband has also had that same experience. Other times, like last night, I can't fall asleep because a sound -- like my husband snoring, for example -- and my normally peaceful bedroom environment changes. I sense evil and the air feels oppressive/heavy or a start sweating for no reason. When I sense evil spirits it feels somewhat like VERY STRONG "DREAD". It comes on rapidly and if I don't speak against it quickly, it will paralyze me for a time. Last night, I was awake and this torment and dread feeling continued for a while until I got up out of my bed at about midnight. I went into the bathroom to pray. Took a sleeping pill and was able to fall asleep. The thing is, Jesus gave us power over all the enemy -- those of us who believe in Him as the Son of God. My husband and I are able to heal the sick by using that authority and we've been able to remove demonic spirits. I've definitely heard of unbelievers using the name of Jesus because they don't know what else to do -- and it works. I don't fear evil, like I might have as a child. I know the spirits must go if I tell them to go in Jesus' name. They try to act powerful and put us into a state of fear. And if you "see in the Spirit" they can be pretty scary -- appearing in all sorts of different physical forms even though they are spirit beings, not physical beings. I don't usually see them, but sense them strongly. If you "see" them, you may have the gift of "DISCERNING OF SPIRITS"
Many years ago I would feel this evil entering my room. I would feel like I was being held down and couldn't breathe. But I always felt like I was in-between awake and asleep. I often felt like I was being watch and my apartment was so very cold. When I moved it followed. It has been many years and I have not had any evil spirits bothering me. But a few nights ago I awoke scared bc I saw a face close to mine. Last night I had a dream that there was evil in the house and it was holding me down. I really do not want this to come back. Does anyone know how to stop it. I have had these episodes but I am sure I was awake. They started when I was child at my parents home, the house is old from around the 1960s. If it wasn't the dark figure at the edge of my bed with evil eyes staring at me trying to choke me. It was dreams about snakes trying to bite me and ancestors I never met, like my grand father he died before I was born. The last time this evil thing tried I had just gotten into my blankets hadn't even closed my eyes so I know I was awake. Someone else was in the same room fast asleep. Each time I said a prayer and every night resorted to a prayer before I go to bed, a bible beside my bed and a light on the whole night. When I moved out of my parents house these occurrences stopped and since, I have only experienced cold presence at times. I was advised by a friend to avoid telling people where exactly I am or where I live. I am African and never believed in all this stuff as I was raised Christian. There are a lot of evil people out there who feed on others misery. Pray hard, if you can, get a night light and most of all if you don't feel right in a room trust your instincts. Something terrible may have happened in that room, leave immediately. 58% of Humans are being abducted by the Grey Aliens in there sleep around the world thats half the Pop of earth!! !.I had one of thoses are freighting I felt I was awake but couldnt open my eyes!.Well any way thats what I wanted to say maybe your being abducted go see a Hypnotist.Or ask for a AKASHIC READING from James douglous cottrell?? then you will really find out whats going on?! !.good luck!. First off Im so sorry you all are suffering. Its good you are talking & coming together to get educated! :) Second, anytime saying Jesus is a good thing imo :) but I believe you all are only getting half the picture. Yes, half of it might be a sleep night terror.BUT There is also another sense I want to enlighten you too....Ive had 3 of them all my life till I knew what they were. IM a private person & thought everyone had them. I asked my twin finally, after a 40 yr secret & found out, NO! I was the only one I knew. Whoops. I've had these night terrors many times. I feel something paralyzingly me or holding me down. The only thing I can only think of is to sleep with a bible by your side opened. I open it to psalms 91. My mother actually prayed this verse out loud one night when I felt terrified and the walls began to tremble.I think this is a very powerful verse. Every time I don't sleep with a bible by my bed side something attacks me. During the attacks I notice that if you say Jesus it goes away. I definitely feel like it is an evil presence. The human mind and body can sense things even we don't understand. To feel so much ''dread". Must mean something! There seems to be merit to both the physiological and supernatural explanation for sleep paralysis. Indeed, it could be both: a supernatural event manifesting physiologically. As a person who has experienced this numerous times, I undoubtedly recommend prayer though, in its most severe form, this condition doesn't allow you to speak - not even in your dream/semi-waking state. You must consider something, though. In a dream/semi-waking state, consciousness and perception are altered. You may feel something holding you down - even gagging you - and you may THINK that you are making a strong effort to escape its grip, but in fact, your effort itself may actually be quite feeble in reality. All experiences, perceptions, etc are exaggerated in dream/semi-waking states. Example 1: somehow your sleep breaks five minutes before your alarm is scheduled to go off. You decide to snooze for those five minutes and, as is normal, it's easily to quickly fall back off to sleep in that state. Asleep, you have an EPIC LENGTH dream, experiencing a timeframe of hours or days or even longer. Suddenly your alarm goes off and you awake. Only five minutes had passed. Example 2: You're asleep but not very deep - perhaps even nearly awake. Somebody taps on your chest lightly but firmly with their fingers. It induces a dream in which you are having a heart-attack or being punched repeatedly on your chest. Bottom-line: Time, physical-sensations, physical-effort, etc all get warped/exaggerated in dreams/semi-waking state and often produce an exaggerated corresponding feeling or, in the case of a dream, an actual experience that doesn't reflect what is really occuring. In any case, this experience probably lasts a few seconds at most and wears off on its own. p.s avoid sleeping with your arms under you - it could cause pins-and-needles/limp-arm feeling which could exacerbate a sleep-paralysis experience. You had a sleep paralysis, there are very common. Sleep paralysis most often occurs in people who have narcolepsy or sleep apnea, but it can affect anyone. Episodes involve not being able to speak or move while falling asleep or upon waking. This usually lasts one or two minutes, and is often frightening. 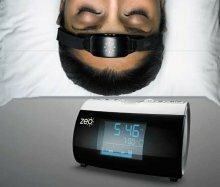 The main treatment is improved sleep habits (sleep hygiene) including going to bed at the same time every night, ensuring a comfortable sleep environment free of distractions, and avoiding caffeine before sleeping. One of sleep paralysis's symptoms are feeling a dark presence in the room or seeing hallucinations. You'll be fine though. I swear the same thing Happens to me I hate it I just want to be free from this I have been going through this since I was a little girl I'm 21 and tired how can I get rid of this? Work on 'clearing' the room. The light and safety comes from you. I have had night terrors since I was born. Now one of my 3 kids is getting them. I tought myself to make a ball of light from my head and force it like a field around me, projecting the room in like a safety bubble. I call it 'clearing'...my terrors and ESP was out of control. It almost feels like pushing all energy out of the walls. Sometimes if they are really strong I need todo it a few times until the panic feeling stops/. Tonight I went to help my 3 year old who was screaming and saying there was a finger she stood on under the bed, poking her through the mattress. I leaned over to kiss her and this violent energy rushed into my face, it was like a shock wave. I cleared her room in my own head... And she said'that feels better'. I'm well educated, and have never been able to fully grasp this evil presence... But I can only hope to help others learn how to help themselves...cause it's not fun! I also had a double dose of something holding me down in the bed when I was between the age of 9-13. I listened to one of my sisters who talked about something holding her down in the bed and she was 3 years older than me and how terrified the look was on her face as she was telling it. I didn't really believe what she was saying but did believe she was scared so it must have happened. I experienced it for myself and I was not sleep. I had just went to the bedroom to take a nap. as I laid in the bed something grabbed me and wouldn't let me move. I remembered that people say if you call on the Lord it will turn you loose. Well I did say Lord help me and it released me and I sat up. I said to myself calling on the Lord works! I felt ok so I laid down again and I grabbed me me right back and I could hear my sisters in the next talking and I was calling Virginia and they did not hear me. I saw them leave out the room going up the hallway to the living room. I called on the Lord again it didn't seem to work I guess maybe because I said it with a guessing the Lord may help me the first time. I said it until I believed in my heart he would release me from this and the Lord did. But when it released me I did not lay back down oh no not me I got up out that bed and went into the living room. I was upset with my sisters for not hearing me calling them. They said we didn't hear you calling neither one of us and I said didn't tracy throw that red shirt in the hall and you came out of that room and picked it up and went back in the room? she said yea but I didn't hear you call me. this is to say I was fully awoke and the house we lived in was built for a family of 10 children we were the first owners of this newly built home and My father still lives there and I was 1 year old when we moved in there today I am 42 years old. The old wooden house before that caught a fire and burned to the ground. I believe today remembering back there could have been a spirit that lingered the new house was built in the place of the old house. I only had that one experience of my time lived in this home until I was 21 years old when I moved out on my own. all of a sudden I wake up the TV is all static, the brass bowl on the coffee table is now a serpent and it's coming after me. Unable to move I closed my eyes and prayed, it was gone, I went to my mothers room and told her what happened, we did 3 hail Mary's and went to sleep. I am now 48 years old and I still have these night mares, can't move, can't speak, feel like someone is touching me. Now I just say "I AM STRONGER THEN YOU"
I had particularly terrible SP experience a few years ago. I was in bed with my ex wife, felt someone looking at me and suddenly "awoke". It was like being conscious in sleep, but not in a dream as I easily recognized my room, sensed my ex wife´s body next to me, the height of the ceiling was right, yet I could not move at all, only it seemed, my eyes. I quickly turned them to my left where I quickly witnessed standing next to me, a tall, masculine humanoid figure, its outline standing out barely in the shadow of the room. Hairless and painfully thin, as though starved, its skin pale and blotchy. Faintly slimy. It gave off a sickly, putrescent, deeply malevolent aura. The little bit of light in the room would bend around its feature and into it, giving the impression that its was sucking the light out of the room as though an abyss. Yet in spite of its disgusting frame, it stood strongly, powerfully even, fully confident in spite of its seeming fragility. At first, he didn´t see me. He was looking ahead as though in a trance yet quickly became aware of my horrified stare and turned his face as though surprised to be discovered. If I was shaken and fearful before, I terror overtook me completely as its gaze met my own. I lost all control and began to scream. Remembering the power of Christ, I quickly invoked his name again and again "in the name of Jesus, in the name of Jesus". Suddenly I was awake. Truly awake this time. My ex wife had me in her arms and looked at me full of concern. All she said was that I began to mumble and shout. all she could make out was "Jesus". I knew I had seen a demon, and remain convinced to this day that it was so. My positive experience was quite beautiful. It happened perhaps a year ago. This time however, I was fully in a dream, and completely aware of it. In this vision, I don´t know where I was. It was like a room with walls that seemed to fade into distance. A background that felt both closed off and isolated from the "outside" yet immense and unconstricted, but devoid of any recognizable features. But this was unimportant as my focus was on the only one other thing that shared the room. Facing away from me,only a few paces away, there was a kneeling man. His forehead touching the ground in full reverence. Completely still as though frozen, but not bound, not stiffly, it was more like and unwillingness to move. From above him falling softly, a gentle, twinkling cascade of the most perfectly golden light, bathed his body. Suddenly, I was the kneeling man. Tears of joy come to my eyes as I write this. The memory of the caress of such a perfect light, oh if words sufficed to describe the profound beauty, the sense of majesty and completeness of being immersed in that heavenly blessing. There was no fear, no distress, no concern. Anger, hate, envy, sadness, all such feelings were as though far away, melted from my heart, forgotten and no longer with me. Only a limitless space of perfect and immovable peace, the caress of purest love. One can only willingly yield to such an embrace. And then I awoke. I knew instantly that I had been touched by God´s light. There is no sensation like it, there is nothing above it and nothing equal to it. A profound sense of gratitude and reverence followed, and its absence is most deeply felt. I yearn for it every day. If you have ever wondered why man lusts after gold, why its glow is so alluring to us, it is because it is the closest earthly equivalent to that divine golden light, yet it is as similar as a stone is to a mountain. I am not from this realm and I want to teach you all a lesson, the higher Govt, an agency is involved with hurting humans and you are taking by forces you believe are extraterrestrial, they are not, there demons are sent to manifest and manipulate you to break you from god, when you sleep your barriers are down, your no self awareness is active and you cannot fight, this realm starts when your in your Rem state, and demons come to you because you cannot fight, the govt, knows of these actions and they have made a contact with these beings, they have broken the contact because sometimes they don’t return humans and hurt you, the contact was to take your energy spirit into space until thay broke you from god and you are all theirs for keeps, try to understand this the devil watches you until you make a mistake and you belong to him, keep your faith and fight with your sub conscious by prayer and faith follow the truth and fight.